The South China Morning Post asserts a different timeline: that he was stabbed on Nov. 2nd and died on Nov. 12th. SCMP also claims that Chinese media initially reported that Mr. Jiang was murdered by his wife, but that media outlets in China are now questioning that story. It also says that Wang Weimin, the chairman of the Xi’an Dairy Association, who also delivered Mr. Jiang’s eulogy claims his “criticisms of the industry” had nothing to do with his death. An earlier SCMP article asserts that, per Xinhua reporting, “Jiang was assaulted and critically injured on November 2 after he attended his meeting with his distributors at his dairy company” and that his whistleblowing took the form of a 2006 report titled “Diary [sic] Industry in Western China is Almost Doomed”. China Daily, citing the PRC’s official press agency, Xinhua (新华), claims the opposite, that Mr. Jiang was “killed during a domestic dispute and not in a revenge attack as previously suspected.” It also claims that 6 of 9 suspects, “including his wife Yang Ping and her younger sister Yang Caiying” have been detained by police. 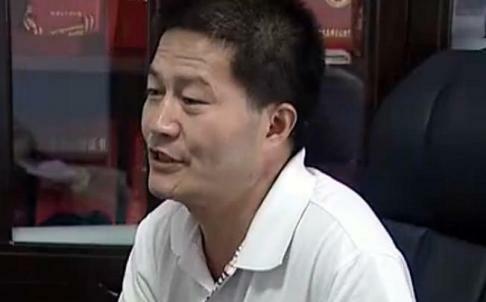 They say he was killed in a “dispute with his wife over his drinking habits.” China Daily says that Mr. Jiang’s wife has confessed to the crime, citing Huang Lin, vice head of the Yanta branch of the Xi’an Municipal Public Security Bureau. Furthermore it claims that on Nov. 1st, Mr. Jiang had beaten his wife, who then turned to her younger sister and her husband for help. It also says that Mr. Jiang was the “founder and general manager of Yanglinbaofeng Agriculture Science and Technology Development Company” and was hailed as a “hero” and “pioneer” after the scandal finally came to light. The best source I’ve found so far, Want China Times, discusses the differing accounts and claims many Chinese netizens believe that “police are trying to impute the crime to Yang” (Mr. Jiang’s wife). It’s also the only source to provide Jiang Weisuo’s name in Chinese characters (蔣衛瑣). Furthermore, it claims that he took a “100,000-kilometer trip in 2006 to investigate the production of fake milk in western China” before reporting it to the media, including CCTV (China Central Television). WCT suggests that his company went by a different name, Jiang Weisuo Dairy Company, and “owned more than 300 stores across China,” with expected revenue of 30 million yuan (US$4.8 million) this year.